Posted on November 22, 2017	by Blowhard, Esq. 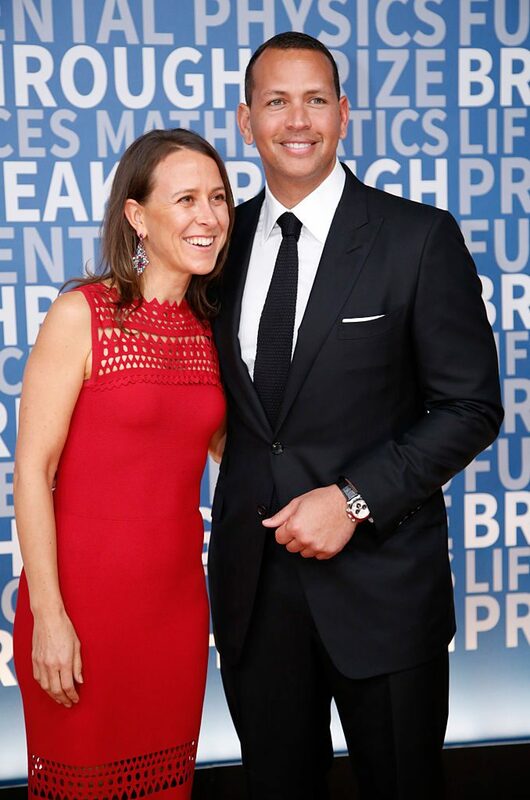 “I liked A-Rod, he was a very nice man,” Esther Wojcicki told me. “He came from a Hispanic family. We liked them, they were very sweet. He seemed to be genuinely in love with Anne. But I right away figured out this was a mismatch. He had no academic background. We couldn’t have an intellectual conversation about anything. His main interest in life was something that none of us had ever focused on, which was baseball. He could park himself in front of a TV and watch baseball for 10 hours a day. He wasn’t even sure he wanted to go on the yacht with Anne because the TV might not be working. This story is typical of a tendency I see in a lot of nerds and so-called intellectuals: if they don’t know it, it’s not worth knowing. The ease with which they dismiss entire realms of knowledge is kind of incredible. Imagine you have sitting in front of you, as the article explains, “one of the 10 best baseball players who ever lived,” and you’re not going to be curious? You’re not going to ask questions to try and learn something? And not just a dumb jock who knows how to hit a ball, but a person with a real talent for explaining the game. Furthermore, baseball is a game with a proven track record for attracting nerds, stat geeks, and other pointy-headed dorks, providing an easy in for “intellectuals” like Ms. Wojcicki. But I’m sure the Wojcicki Thanksgiving dinner conversation about driverless cars will be utterly fascinating. *As a Los Angeles sports fan, it was utterly painful for me to write anything positive about a Yankee. I thank you all for your support during this difficult time. Also, anyone who mentions this year’s World Series will be banned from the blog in perpetuity throughout the universe. Sailer on Anne and Susan Wojcicki. This entry was posted in Education, Sports and tagged Alex Rodriguez, Anne Wojcicki, intellectuals, nerds, New York Yankees. Bookmark the permalink. Lol, what is this woman even saying? Better chew that VC wisdom a second time before you try to regurgitate it, old girl. Haven’t you heard? “Nobody” buys cars, dude. Let me introduce you to insurance companies. The difference between the safety of a human-driven car and a computer-driven car will be so great, only the extremely rich will be able to afford the premiums. Doubtful. It’s more likely that as accidents decline, car insurance will get cheaper no matter who or what is driving your car. I’d say shorting the insurance companies, really, is the smart play. It’s a wonderful world, isn’t it? I’m looking forward to resolving whether it’s Uber or Tesla who are fully liable for damages, crashes, injuring passengers or bystanders, etc. This may perhaps be a specific blind spot towards sports. And it has been ever thus. I’m sure Madame Woj is a fascinating conversationalist who can hold forth expertly on a great range of subjects. She’s a good example of how confidence can make up for average looks.